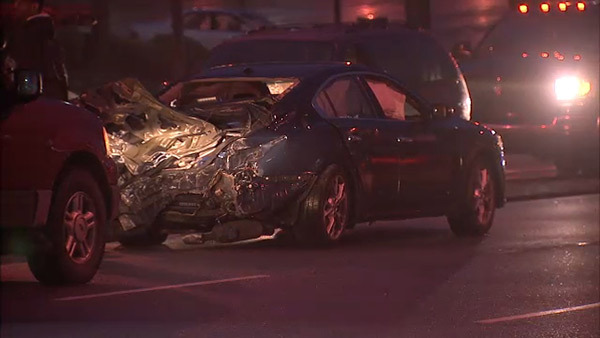 WYNNEFIELD (WPVI) -- One person was injured in a crash in the Wynnefield section of Philadelphia and police are searching for the driver of the striking vehicle. It happened around 6:30 a.m. Thursday at the intersection of City Avenue and Monument Road. Police say the driver of one car smashed into the rear of another that was stopped at a red light. Police say the driver of the striking car fled the scene. The other driver suffered minor injuries and was treated at the scene.